Barihunks Tristan Hambleton and Kevin Greenlaw will both be performing in the University College Opera's production of Donizetti's La Favorite from March 14-19 at the Theatre Royal Stratford East. It will the first French language performance in the UK this century. You visit their website for additional information. On March 20th, you can also hear Tristan in Bach's St Matthew Passion at Hampstead Garden Suburb Free Church with the UK-Japan Music Society. You can listen to Tristan Hambleton sing Tchaikovsky's None But the Lonely Heart HERE. 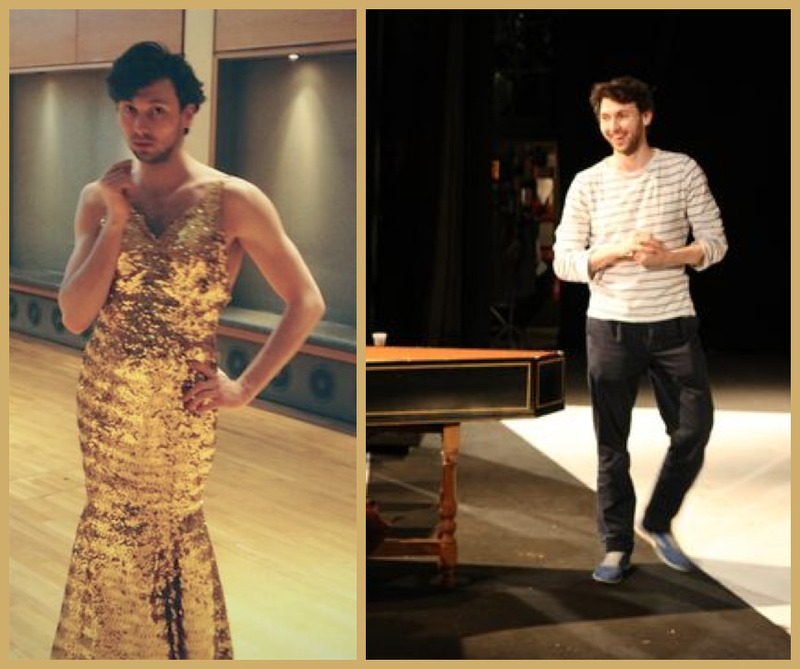 Hambleton is featured this month in our 2016 Barihunks Charity Calendar, so we figured it was a good time to ask him a few questions about his career. I come from a musical family stretching back to Victorian London, with family among the founding members of the LSO and the Philharmonia, I grew up to tales of the great musicians of the past. My dad played on many of the RCA and Decca recordings with the likes of Pavarotti, Sutherland and Milnes and when it came to child care, it meant me sitting in on rehearsals at ENO where my dad was principle clarinet for many years. There was little escape. When I was a boy, I started singing as a treble and was invited to sing with amazing singers like David Daniels and Bryn Terfel. I remember at 11, being in a singer’s apartment in Paris while working with Les Art Florissant and thinking “WOW, this is the life!” It was then that I got bitten by the bug. 2. 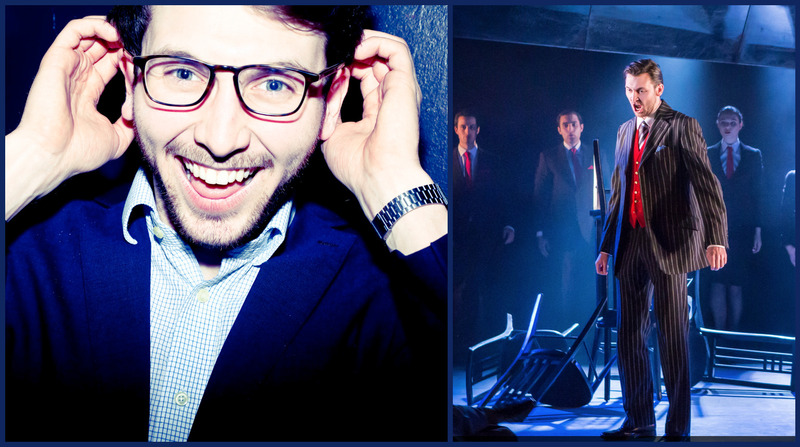 How did you first find out that you were on Barihunks and what was the response to you being in the calendar? I think someone tagged me on facebook. Oh and my website went into overdrive. As for the calendar, my mum loves it, particularly as it’s now March. 3. What are your thoughts about singers taking care of their bodies as well as their voices? Do you have a routine to stay in shape? It is so crucial. Your body is your instrument. I don’t have a routine as such, but I’m always on the go. 4. Any limits on what you'd do at a stage directors request? Ha ha – none that I know of. Should I be worried? Or maybe they should be. 5. Are there any roles in particular that you really hope to get to perform someday? Absolutely. Too many to mention, but pretty much all the Mozart roles. And I think every bass-baritone has a dream of one day being a Hans Sachs. I hope this doesn’t mean I’ve jinxed it! 6. Tell us about your character in La Favorite and the production. This is the first time it's being done in the original French in the U.K. I play the role of Balthazar, a Catholic Superior who is head of the Monastery at Santiago de Compostela. The story is essentially a love triangle set against a power struggle between church and state. There’s a definite flavour of the Grand Inquisitor from Don Carlos (one of my favourite operas) in Balthazar, except I am a lot more mobile and unlike Hytner’s production I can fully see everything that’s going on. This production is set in the 1930’s using the Edward VIII/Wallis Simpson affair as a sounding board. For over 60 years UCO have put on rarely performed works in the capital using young singers. Previous productions have used some really great singers including heroes of mine Felicity Lott and Robert Lloyd. What matters for me is the standard of the music, the story and the character. My last project was a World Premier for Glyndebourne by David Bruce. The opera, called ‘Nothing’, had all three elements in spades, as a result it ranks as one of the highlights of my career thus far. For the same reason, I would happily sing Figaro for the rest of my life. My Bachelors degree was actually in Art History and I love introducing people to Italy. Something I’ve had the great fortune to do as a Tutor for Art History Abroad. All sorts. According to Spotify my recent plays are: Nick Hakim, Totally Enormous Extinct Dinosaurs, Bach, Major Lazer, Schubert, SBTRKT, Gluck. I believe in the Louis Armstrong philosophy of music. 10. The best advice anyone has ever given you? Don’t be anyone, but yourself. When I’m at home I wear clogs – like right now.